Envio Pressure Washing offers a complete suite of cleaning services for commercial businesses located within the Lower Mainland. Our industry leading techniques ensure timely results. 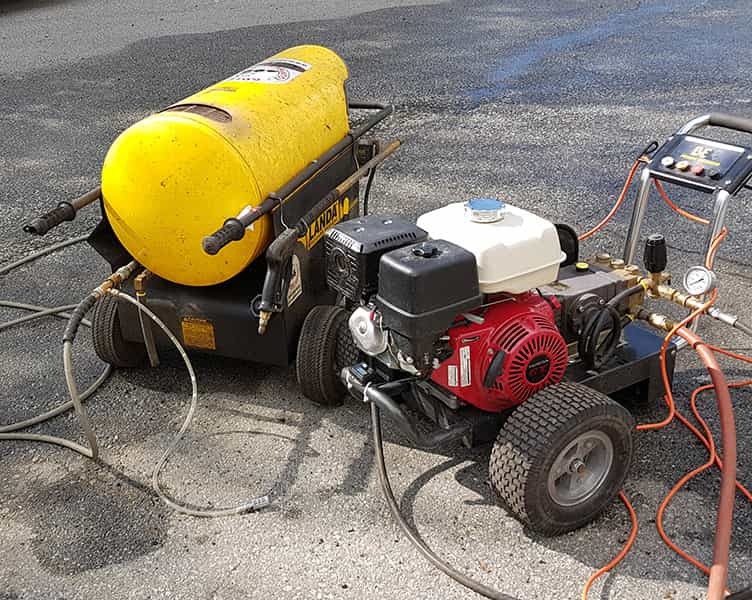 Envio Pressure Washing provides contracts allowing for the flexibility to book weekly, bi-weekly, monthly, quarterly, and yearly visits best tailored to the needs of your industry. We’re fully equipped with the most modern cleaning machinery allowing us to tackle jobs ranging in size from small locally owned business to more demanding large-scale facilities. Our experienced technicians use both cold and hot water systems at various pressures to efficiently and effectively rid various surfaces of accumulated stains and grime. We offer a portable water solution to our clients without access to a water source.